Cla-Val is a global manufacturer with headquarters and a 20-acre production/foundry complex in Costa Mesa, California. Since 1936, we have provided the industry’s finest automatic control valves to customers in every part of the world. Other global locations include Canada, Mexico, Switzerland, France, the United Kingdom and New Zealand. For a comprehensive overview of Cla-Val’s capabilities, please view our virtual factory tour by clicking here. The Hytrol is the main valve manufactured by Cla-Val and is the basis of all their application-specific control valves. Pilots, solenoids and other trim items are added to the Hytrol valve for Pressure Reducing Valves, Fill Valves, etc. The Hytrol valve is hydraulically operated and diaphragm actuated. 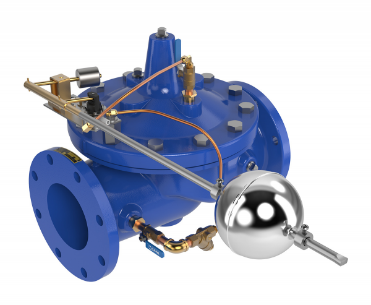 The 90-01 Pressure Reducing Valve (PRV) uses the Hytrol valve with a CRD Pressure Pilot to control the valve to maintain a constant outlet pressure. In commercial buildings, the primary application for the 90-01 PRV is in Domestic Water Risers where the system pressure is over 80 PSI, often used in parallel with the CRD-L Direct Acting PRV for a High Flow/Low Flow system. 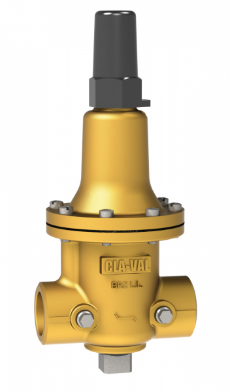 The Cla-Val Model CRD-L Pressure Reducing Valve automatically reduces a higher inlet pressure to a steady lower downstream pressure with our unique design. 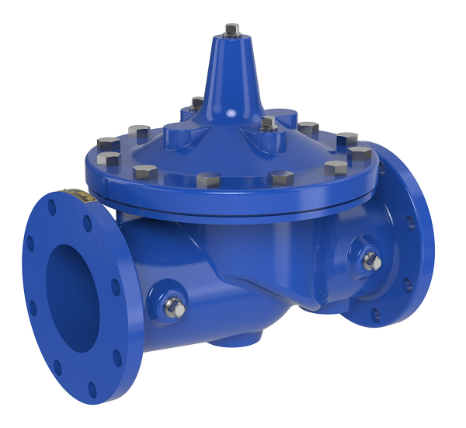 This valve is an accurate regulator capable of holding downstream pressure to a predetermined amount, regardless of upstream pressure fluctuations. The CRD-L is often used as the Low Flow valve in PRV Stations with the 90-01 PRV. Models 50-01 and 650-01 Pressure Relief Valves are hydraulically operated, pilot-controlled, modulating valves designed to maintain constant upstream pressure within close limits. Model 50-01 is the full-port version of the valve. Model 650-01 is the reduced-port version of the valve. Both are ideal for pressure relief, pressure sustaining, backpressure, or unloading functions in a bypass system. 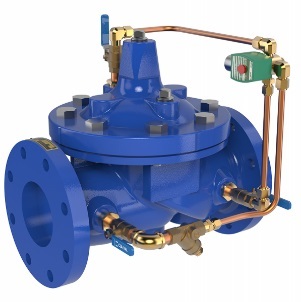 The Cla-Val Model 55B-60 Pressure Relief Valve is a direct-acting, spring-loaded, diaphragm-type relief valve and is typically used in high-rise-building water systems to prevent pressure buildup whenever line pressure exceeds the setting of the spring. 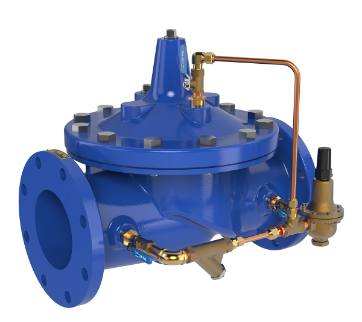 Installed downstream of pressure-reducing valves, the 55B-60 relieves excess pressure to atmosphere to prevent damage to the distribution network. 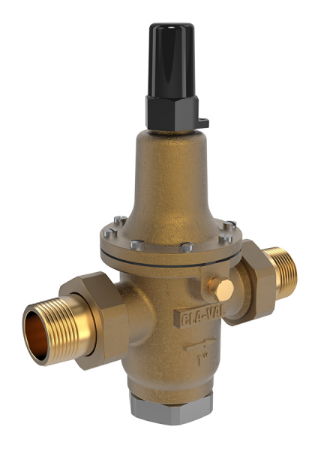 The Cla-Val 124-01 Float Valve is a non-modulating valve that accurately controls the liquid level in tanks. These valves are designed to open fully when the liquid level reaches a preset low point and close drip-tight when the level reaches a preset high point. Level settings can be as much as eleven and one half feet below the valve. The float mechanism may be located remotely from the main valve; however, most valve installations are on top of the tanks with the float pilot assembly mounted directly on the valve. The Cla-Val Model 136-01 Solenoid Control Valve is an on-off control valve that either opens or closes upon receiving an electrical signal to the solenoid pilot control. 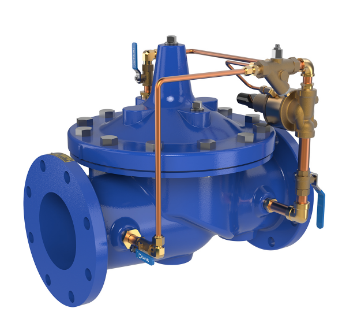 This valve consists of a Hytrol main valve and a three-way solenoid valve that alternately applies pressure to or relieves pressure from the diaphragm chamber of the main valve. It is furnished either normally open (de-energized solenoid to open) or normally closed (energized solenoid to open). The 136-01 Solenoid Valve needs a Control Panel and Tank Level Sensors to complete the Level Control System.